Be Healthy > Physical Therapy > What is a Physical Therapist? What is a Physical Therapist: Clinician, Exercise Coach, or Miracle Worker? A good physical therapist (PT) can make you work, sweat, and cheer at the same time. 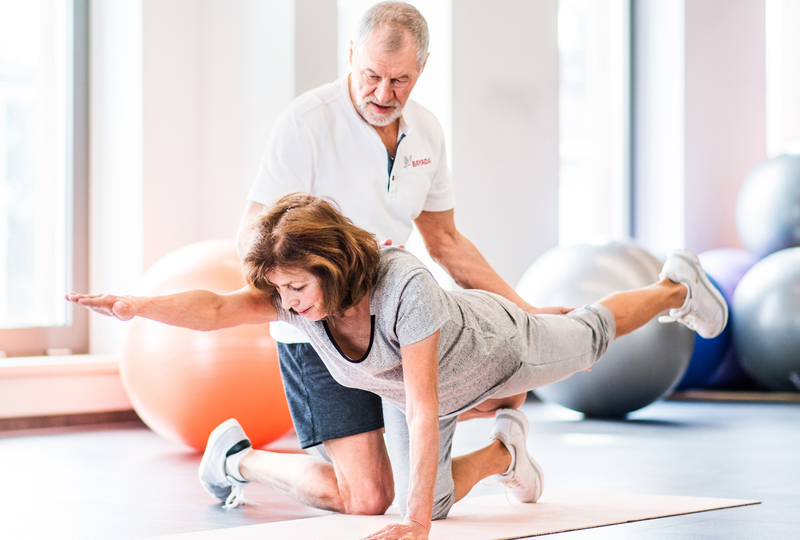 A physical therapist is much more than an exercise coach; they are highly educated, licensed health care professionals who often are able to help clients avoid expensive surgery or long-term prescription medications. Although exercise and training are parts of physical therapy treatment, your PT has the specialized medical expertise to know when to encourage you to do more than you thought you could do, and then push you even further. Occasionally, people may experience physical therapy as frustrating or uncomfortable. After a physical therapy session, you may feel sore or exhausted. But with expert PT oversight, you can be assured these are natural parts of the healing and strengthening process that will help you get back to work after you have injured your back, or learn to walk again after a stroke. A physical therapist cheers and encourages you to keep on going to the best of your ability. That’s why some say a physical therapist is a miracle worker. Physical therapists must complete six to seven years of university education. According to the American Physical Therapy Association, recent graduates will have a Doctor of Physical Therapy degree. After that they are required to pass a state exam so that they may practice as a licensed physical therapist. PTs enjoy working with people. They spend most of their day providing hands-on treatment and empowering people to take control of their own health and healing. Working with a PT will help you get up and moving again. Your physical therapist will push you, encourage you, and help you. You probably will work, sweat, and cheer. But in the end, you will thank them for working beside you. Ask your physician today if physical therapy can help you enjoy a higher quality of life. With a doctor’s referral, BAYADA can provide the right PT to meet your needs. Click the link below to speak to a BAYADA representative and learn more!